These printable Winter games for toddlers will keep your little ones busy (and learning) all while having fun! Includes I-Spy, Matching and Bingo! These printable Winter games for toddlers will keep your little ones busy (and learning) all while having fun! 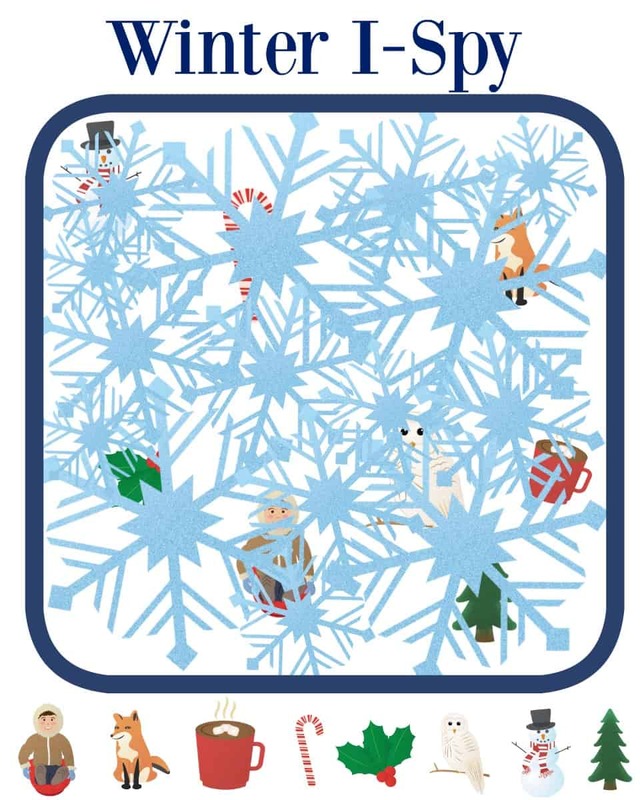 Because our Fall games for Toddlers were so popular, we made a version complete with snowflakes and holly 🙂 Grow their vocabulary and enjoy some quality time together. 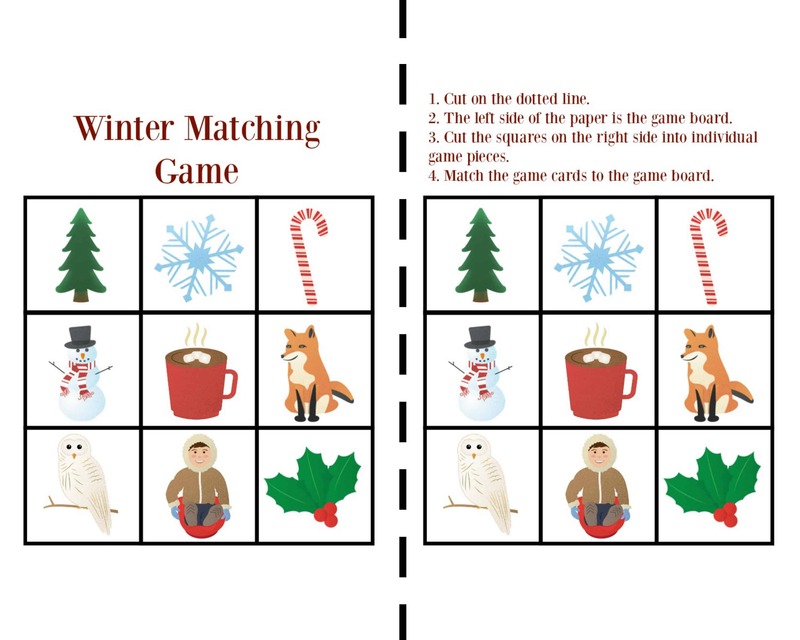 Included are a matching game, Winter Bingo, and Winter I-Spy! Here are 3 really fun and simple Winter games for toddlers! To grab your bundle to print, click here, and subscribe to this blog. Subscribing means you will get updates twice a month from this blog, and will gain access to ALL of our printables (like this one) to keep your kiddos busy AND learning! Already have your password? Head on over to the Exclusive Content page and grab them now! Cut out the provided bingo game boards, and the corresponding game cards. Place the game cards face down in a pile. Have one person flip over a card and call out the name of the picture. This is a great way to introduce new words with your kids. Be descriptive by saying “green tree” or ” cold snowman”. 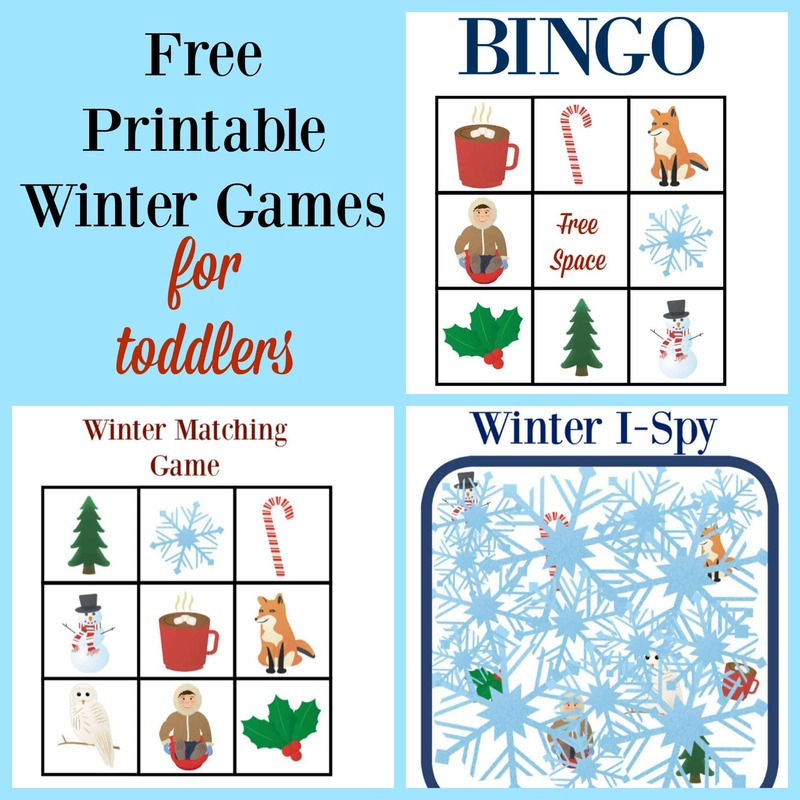 Enjoy these printable Winter games! Already a subscriber? They are in the Exclusive Content for Subscribers page – head there now and enter your password!